Every month in our " Day in the Life" posts we feature a woman around the world to get a small peek into other people's "normal". We are honored to feature Ivey Ketterer, you can call her Queen Ivey (with good reason). After the complicated birth of their daughter, Sofia, Michael and Ivey decided not to have any more children naturally. When their daughter was seven years old she started having vivid dreams that she had to rescue three young boys. The scenarios were different in each dream but each time she had to pull one of the babies from danger. These dreams recurred for years. In one dream there was a girl her same age standing across a creek while one of the babies was drowning. In her dream, Sofia lifted the baby from drowning. Sofia began begging Michael and Ivey to adopt. They her at the beginning that their lives were perfect and they already had the perfect daughter. Michael explained that because they only had one child they could give her everything she wanted. What they didn't know was that she REALLY wanted her brothers and she was quietly praying in private for her family to grow. 3 years later her prayers were answered. God had spent time softening their hearts to the idea of adoption. They began realizing the joy and fullness children bring, and they started to trust that God was leading their family to grow. 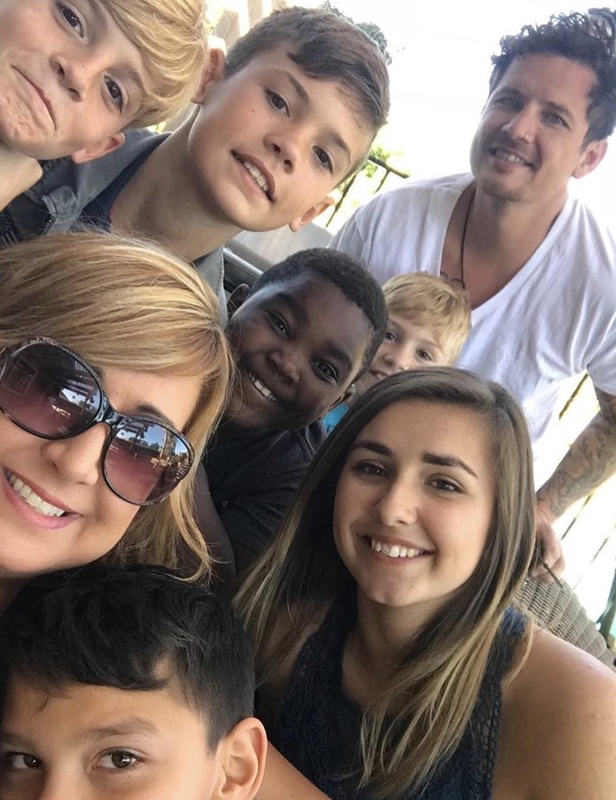 They enrolled in Child Help as an adoptive home and the rest started happening so fast. They told their case worker they would only take up to three in a sibling group and they had to be under the age of 5. They assured Sofia that they may not get 3 little boys but the very first call they got after being qualified was for 3 little boys; ages 4, 3, and 1! The caseworker adamantly warned them that these boys were WILD! The Ketterers knew, wild or not, they were theirs! It wasn't until the boys were in their home for 6 months that they uncovered another piece to Sofia's dream. The boys had a sister the same age as Sofia. She lived in a separate home. Just like the young girl across the creek. Although caseworkers warned them not to get their hopes up, they held onto the hope that they would be able to adopt these boys. Two months later they got a call about a boy named Rodrigo who had been physically abused and had cerebral palsey, they accepted and he was at their door hours later. When they got the call, Ivey felt God say to her, “If I am giving Rodrigo to you, it is because I want him healed.” They have seen miracles almost daily in Rodee’s life and have had doctors break down in tears and say that he is a walking miracle. Two years after Rodrigo came into their home, Ivey had a dream about another little boy. She prayed that if he was her son, he would come into their family, and through a series of events Shawn joined their family. The rest of this post is written directly by Ivey. Her original post included about 7 million emojis but I had to take them out because they didn't translate to the blog. I live in the #OC Southern California & my favorite to do is go to the beach ! We are a team so here is a break down on the chores because we have a lot especially with a child that is handicapped. Then we are all done and in the car at 7:30 ! We drop off the 4 boys at school & then we drop off Sofia at school & then it's just Rodee Boy and I. The second Sof gets out of the car he yells: CALL NANA!!! So we call my Mom on our way back home and then we get home and then get Rod out & load him up in his wheelchair and then put him on the bus by 8:05! (That paragraph alone will make you believe in miracles). Definitely the beach my kids love to surf! We also love us some Disneyland! My favorite local spot is Eat Chow in Costa Mesa! Super tiny spot with delicious food! What i get every time: a po boy sandwich with grilled shrimp! What i do to rest and recharge: Well it's called #iveytime. I do whatever in the world i want to do as long as it's not chores! So that involves: The Beach, Walking, Shopping at #Goodwill, Going on dates with #mrketterer, The sky is the limit during this time. And i have #Iveytime everyday while kids are at school if I'm not at one of their billion appointments! Follow along with their families journey, Ivey is a compassionate and hilarious woman and you'll be better for becoming her Instagram friend.